The former President, Olusegun Obasanjo, is expected to launch his Coalition for Nigeria Movement, CNM, today in Ogun state. ￼The notice of the launch was issued Thursday morning by the ex-leader’s media aide, Kehinde Akinyemi . 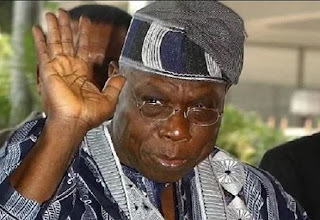 He said Obasanjo would register as a member and also be on hand to chat with prospective members. ” It will hold at the lwe-Irohin House, Press Centre, Oke Ilewo Abeokuta,” the statement said. Meanwhile, a body of professionals and civil society activists have identified with the CN. The group known as Civil Society and Professionals Coalition for Nigeria (CSPCN) was represented at the inauguration of the CN in Abuja . “Insecurity and poverty roam the land and wrack the people. This has created a climate of uncertainty and fear not just for individual Nigerians but more critically for the entire enterprise of nation building .